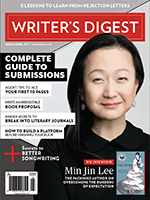 F+W Media, publisher of such magazines as Writer’s Digest, Family Tree and Popular Woodworking, has filed for Chapter 11 bankruptcy. The company says that the number of its magazine subscribers has dropped from 33.4 million in 2015 to 21.5 million, with advertising revenues falling from $20.7 million in 2015 to $13.7 million last year. According to a report in Forbes, the company has about $2.5 million in cash available, with $105.2 million in outstanding debt. In the Chapter 11 filing, company CEO Greg Osberg said that in order to get the money to pay its creditors, F+W has decided to sell all of its assets. The company will be sold off in two parts—its communities division, which includes its magazines, and F+W Books, which publishes 120 titles annually. 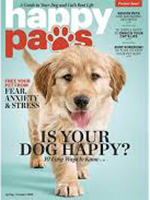 Meredith Corporation is launching a new magazine, Happy Paws, that will be aimed at dog and cat owners. The magazine, which is set to hit newsstands on April 9, is being produced in partnership with a veterinarian-led organization called Fear Free. Meredith says that the pet coverage it currently features in such publications as Real Simple and Family Circle is extremely popular with readers. It also cites American Pet Products Association figures that say more than $72 billion was spent on pets in the U.S. in the past year. The first issue of Happy Paws is set to be followed by another in October, and the company says it will then determine the magazine’s frequency. 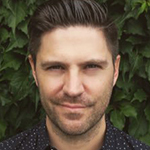 Dan Wakeford is taking over the editor-in-chief post at People magazine from Jess Cagle, who resigned Wednesday. Wakeford has been the deputy editor at People since 2015. In the position, he edited the magazine as well as overseeing 11 of its digital verticals and developing such spin-off projects as the crime series “People Magazine Investigates.” Before coming to People, Wakeford was editor-in-chief at Bauer Publishing titles In Touch and Life & Style. “Dan has an impeccable track record for shaping the editorial direction and content strategy for some of the largest brands, and that makes him the ideal choice to lead Meredith’s most profitable brand,” Bruce Gersh, the president of People, Entertainment Weekly and People en Español, told the New York Times.